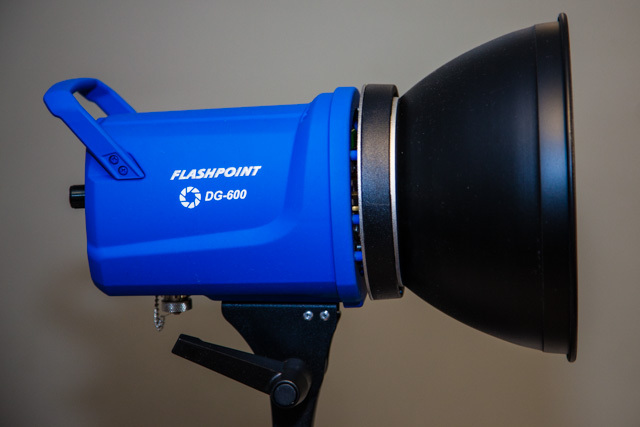 The Flashpoint DG600 300w/s monolight is an Adorama exclusive from its in-house Flashpoint brand. Priced at $199.95, the light resides in the budget lighting category; however, it has one key feature that really sets it apart from other budget monolights – an LED modeling lamp. Rather than have a large tungsten bulb that is prone to getting bumped and broken, the Flashpoint DG600 offers tiny, cool LED lights that are variable in power as a modeling lamp and draw only 7w of juice. 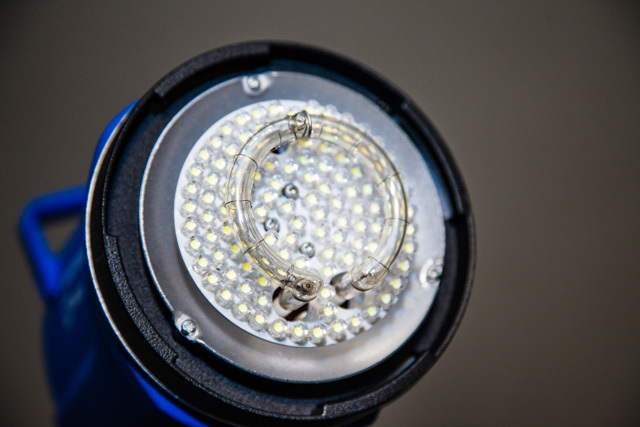 Additionally, there’s no need to remove a bulb in order to put the cover on the monolight (as is the case with other budget monolights that use incandescent bulbs). The DG600 housing is the heavy plastic with an integrated handle on the rear. It feels durable and does not give away its $200 price point. Another surprise on the DG600 is a built-in fan for keeping the light cool. The power output is adjusted from 1/32 to full output (5 stops) via a knob on the rear that adjusts output in 1/10 stop increments throughout the range. 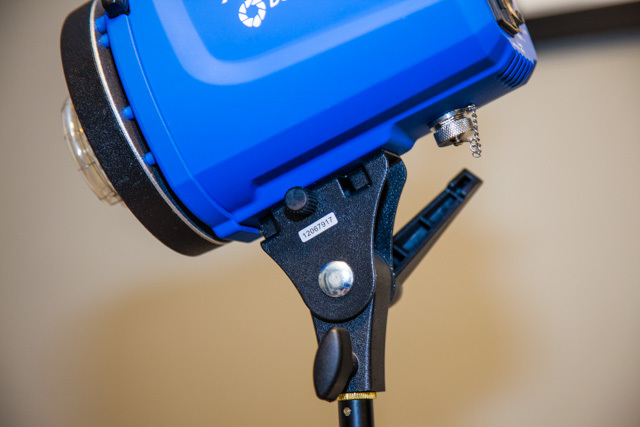 The modeling lamp can be set to constant power or variable with the strobe output settings. The power output is measured from 1.0 to 6.0 via a digital readout on the back of the light. 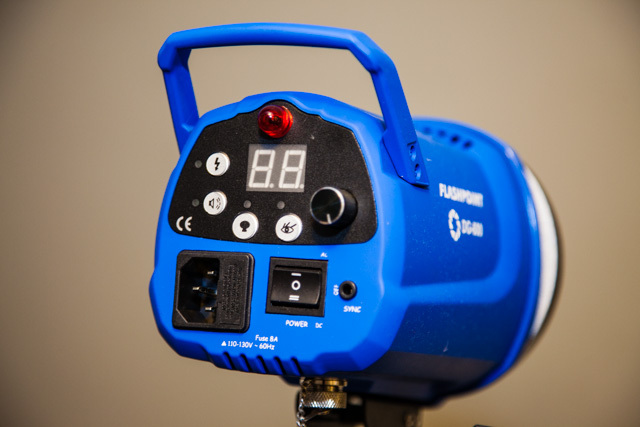 The DG600 offers an optical slave cell sensor that can be switched on or off. Likewise, an audible beep for recycle confirmation can be switched off if needed. The DG600 ships with a PC sync cable that plugs into the 3.5mm mini jack sync port on the monolight. A standard 8″ reflector is included as well. 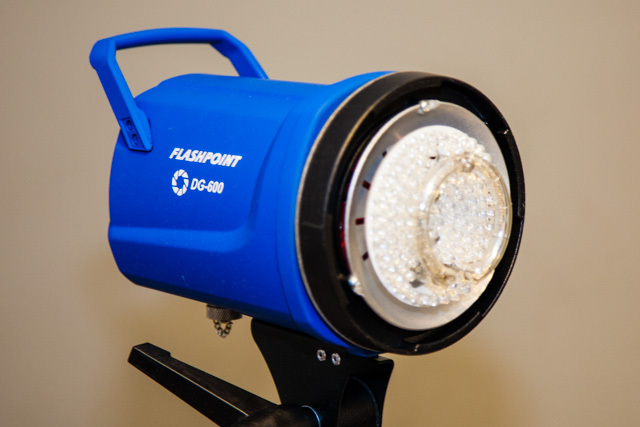 If you’ve used other Flashpoint units in the past, you’ll be familiar with this unit and find that the same accessories fit the Flashpoint lights across the line. Additionally, a rather long AC power cable is included with the unit. 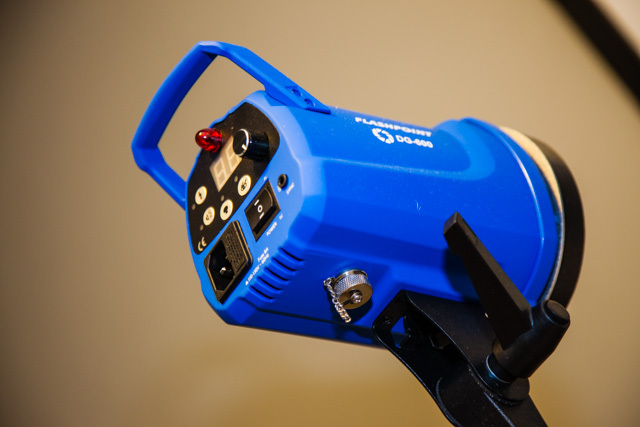 The DG600 is an AC/DC light, which means you can also use it in conjunction with the $130 Flashpoint DG battery pack to power the DG600 remotely. I didn’t use this battery pack with the DG600; however, I have used other Flashpoint monolights and battery packs in the past with very positive experiences and long battery life. Adorama claims the recycle times is 1.5 seconds on AC power at full power, which is about what I experienced. Of course, your recycle time will be lower as your power output is reduced. Adorama also claims a 1/1500 – 1/800 second flash duration. I didn’t test these times, but that’s about on par with what you can expect from a $200 light. During my use of the Flashpoint DG600 monolight, it performed flawlessly. At a price of $200, I highly recommend the DG600 for those looking for a monolight solution on a budget. The LED modeling lamp and portability options with the optional battery pack are some very sweet icing on an already tasty cake. At first, I didn’t see a built-in umbrella mount. But as I look closer, it seems to be on the bottom. The LED modeling lamp is an idea which should have been implemented years ago! My Einsteins get way too hot and shut down sometimes, because of the modeling lamp. Plus, only 7watts, means it could still be used when powered by a battery pack.